In the early 80s, the average Bostonian didn't have convenient access to even the simplest of athletic equipment. City Sports founders Eric Martin and Mike Kennedy couldn't even get their hands on an inflatable needle so they could pump up their basketball. This prompted them to open up the very first City Sports store in the Boston area in 1983. Their mission is to fulfill everyone's need for sporting equipment, no matter what it may be. They offer everything you need to participate in any sport ranging from boxing to football. Since their initial store opened decades ago, they have gone on to open over two dozen more. There are currently 26 retail locations spanning a selection of states along the East coast. 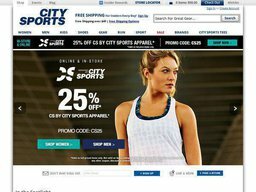 No matter where you are, you can shop at City Sports by visiting their website at citysports.com. You can use the store locator to see if you do reside near one of their retail locations. Shopping from your home offers much more convenience though. They even have a mobile app that's recently updated so you can browse their offerings from your phone. The brand also operates an official blog that will likely interest sports enthusiasts. Their topics range from picking out the best type of equipment to ranking the best routes for running in specific cities. You may also want to sign up for their email newsletter so you can know when they're offering special deals on the website. Martin and Mike Kennedy are no longer involved in the privately held company as it was sold to Highland Capital Partners in 2008, who plan to open hundreds of more stores. Edward Albertian currently serves as CEO and President. 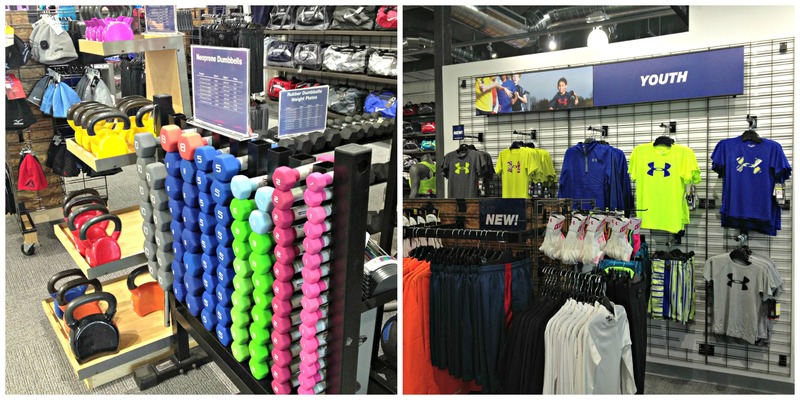 No matter what your sporting need is, you should be able to find it at City Sports. The website categorizes merchandise, so you can easily find something specifically for men, kids, or women. You can also shop based on the particular sport that you're interested in. They have both popular and less popular sports covered. For those interested in adding gear to their collection, they have something for you too. The collectible items cover major sports such as soccer, baseball, hockey, and the NFL. With their beginning based out of Boston, they also have collections devoted to the Boston Marathon. Popular brands include Oasics, Brooks, Nike, The North Face, Patagonia, Under Armour, Marnot, UGG, Reebok, Adidas, Saucony, Sorel, as well as their own in-house City Sports brand. Your sporting equipment purchases can easily be cheaper if you take the time to find special coupon codes. At Coupofy Coupons, you should have little trouble finding these special deals. We maintain a list of updated deals and discounts that you can simply click on to save money while shopping at citysports.com. You can pay for your online purchase using a major credit card. They also accept Paypal and Google Checkout when shopping on their website. All customers currently receive free shipping on their orders if it comes to $49 or more. For those who become a website member, they will get free shipping on any of their orders no matter how much it comes to. You can also get your items shipped to a store for free so you can pick them up from there. FedEx is their carrier of choice, and they can deliver anywhere within the United States. However, if you intend to ship your merchandise to a P.O. Box, shipping duties will be transferred to the United States Postal Service. Those who live outside of the U.S. can't order from the company as they don't ship internationally. You have up to 30 days to return any merchandise that you buy from City Sports. Just make sure that it doesn't have any visible signs of use, and you shouldn't have any trouble getting a refund or exchanging it. @therealmacketi Sorry Timothy, but we are not affiliated with the gym. You’ll have to contact them directly.